I stumbled onto this cake by The Casual Gourmet completely by accident and even though I'm not a white cake kind of bride, I'm in love with this cake. I love how there is just a little 'sand', and the gate just really says Cape Cod to me. 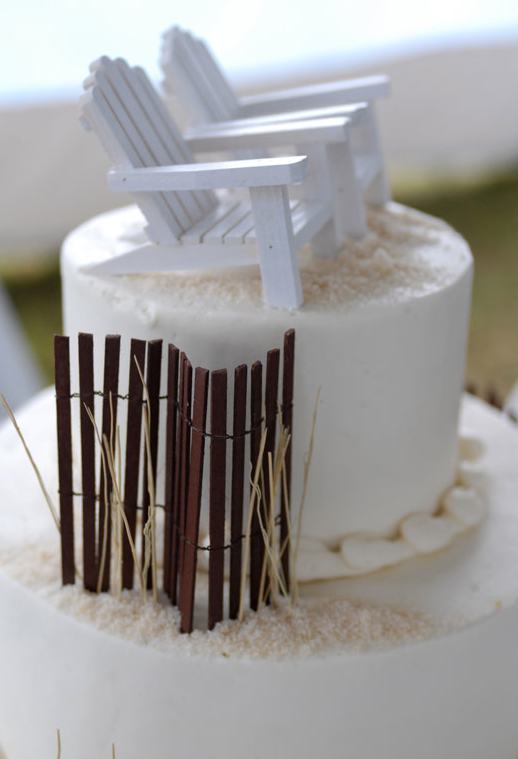 I definitely like the idea of having the adirondack chairs instead of traditional cake toppers.